Guru Ji has established "Aagam-Nigam Sansthaan" to spread knowledge and guidance about "saadhana maarg" in early 90s. Due to circumstances, the actual work could not take pace. 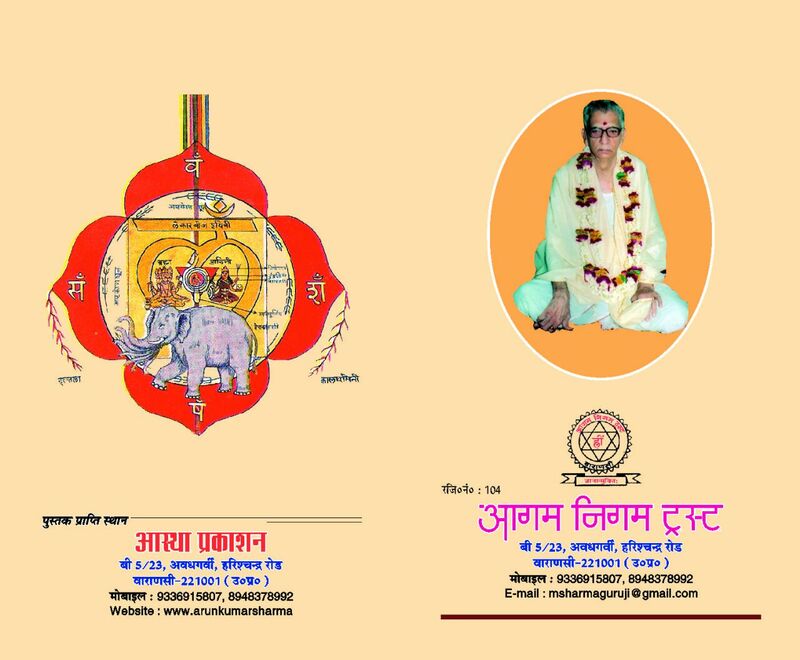 Shri Manoj Sharma Ji (Son of Pujya Guru Dev) has put his intese efforts towards not only completion of unpublished books by Guru Ji, but also towards the true goal of "Aagam Nigam Sansthaan". 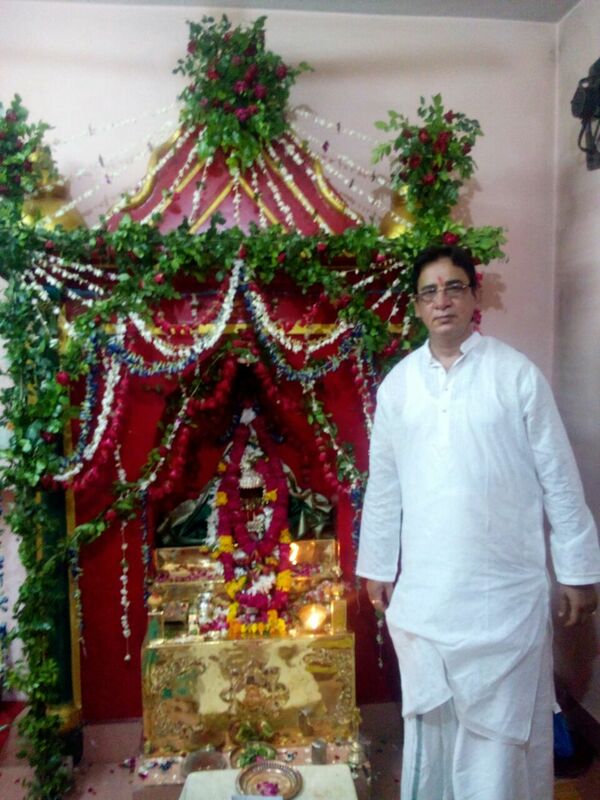 To be a part of sansthaan or to know more about that, all devotees are requested to contact us . 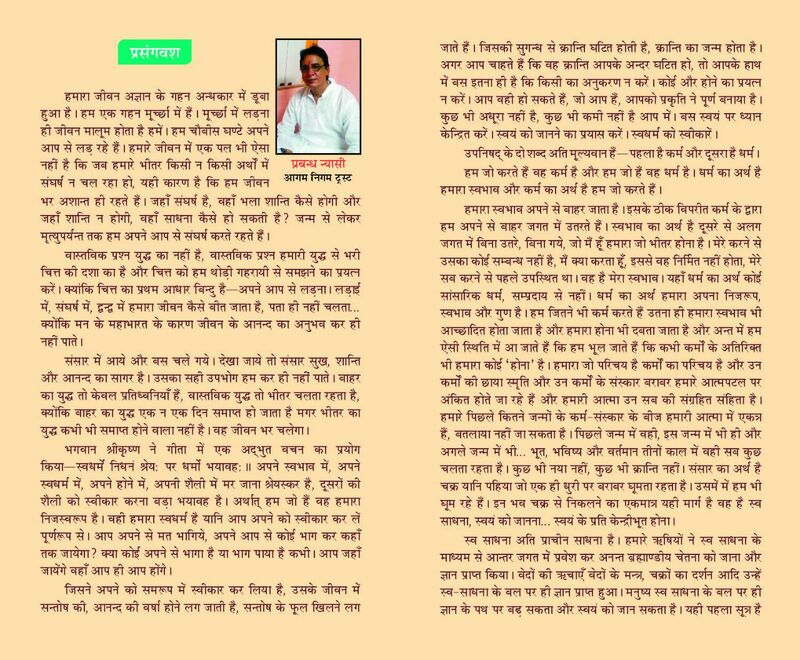 A 12 years old boy used to read a weekly article "Kundalini Shakti" in "Dainik Tribune" a Hindi newspaper of Haryana. Since then there was a burning desire in his mind to meet "the great author". But what he knew about the author was - only the name "Pandit Arun Kumar Sharma" and the city "Kashi" (Varanasi or Banaras). Yes, it was me who finally reached him after 21 years. I could not meet him because I did not have his contact number or address or any of his book. I tried to find the same from newspaper, searched over internet but I had to wait for 21 years till my fate allowed me to get his contact somehow. After meeting him first time in Nov-2009, I realized his greatness and wanted him to be my spiritual guru. 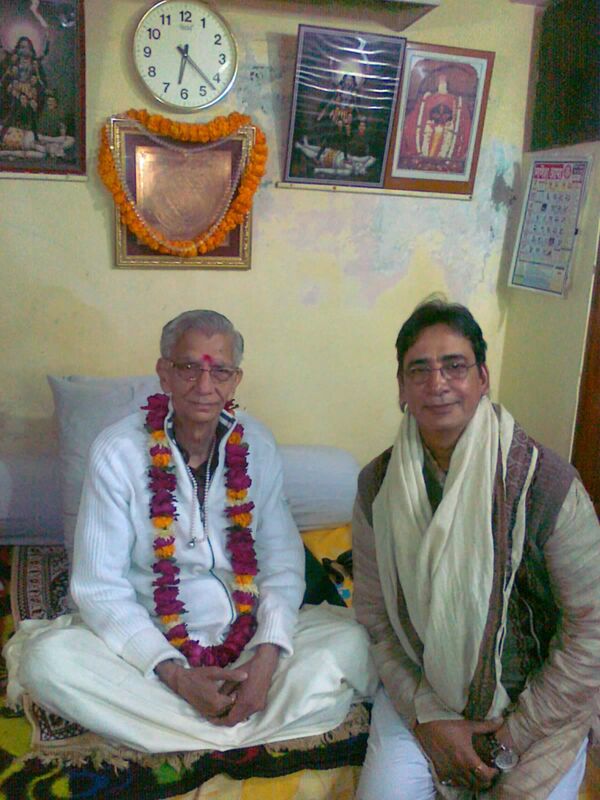 The great author, great yogi "Pandit Shree Arun Kumar Sharma" of Kashi accepted my silent request. One year later in Sep 2010, I was so much fortunate that I got a chance to live very close to him for 15 days. I have read his 16 books on yoga-tantra. Each and every line of all of his books is unbelievable but absolute truth of his spiritual life. They are written in the form of auto-biography or self experienced miraculous stories. Each book depicts a wonderful philosophical, scientific, spiritual and social explanation which is difficult to find elsewhere. Simple, yet scintillating language of each of his masterpieces is a jewel on the path of spiritual literature and enough to move one's thought process. "There will be so many persons like me" I thought and hence created a small website dedicated to Pujya Guru Ji so that other can also get benefited with Guruji's vast knowledge, life time experience of mysticism, yoga, tantra, miraculous saints etc. quoted in his books. Though he never wanted to tell about his materialistic life, I collected a few facets of his life during my stay with him. With his blessings, I am putting those for all who are in search of "Truth" and want to understand or know the "Mysticism of Life". My sincere apologies for any kind of mistake while writing all these.